Help your child stop saying “I can’t” during homework time with these easy ideas for busy parents. Make your homework time less stressful! If you’re already cringing just thinking about after school battles, it’s time for a homework fix. It’s so simple and easy to put this quick switch in place. Every family will love their less stressful afternoons! Get ready to make homework stress-free with a FREE e-book filled with no-nonsense tips, straight from the teacher’s desk! Homework will never be easier for your family. Stop School Stress with this One Super Simple Parent Tip! 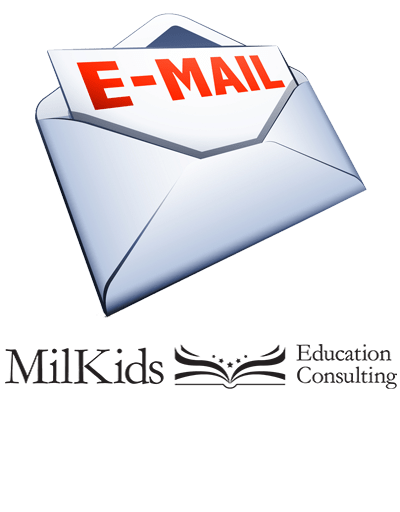 Stop school stress when it comes to handling your child’s education when you follow this one simple parent trick: email the teacher! There’s Still Time to Fix Your School Year. Learn the #1 Tip Here! Make your next IEP or 504 Plan meeting a breeze with this giant list of easy accommodations and modifications! This list is perfect for busy parents and teachers. You’re On The Special Education Journey…Now What? Tough times at your child’s school? Use these parent tips to keep your cool at school! You’ll see move success and feel more confident, too. Palms are sweaty and your stomach feels a little queasy. The clock ticking on the wall seems to both be going very slowly and speeding right along. Suddenly, you hear your name called. Oh no! It’s your turn to talk to the teacher. But what should you say? When your child’s grades are low, you might need help getting back on track. Use this guide to get started the right way!